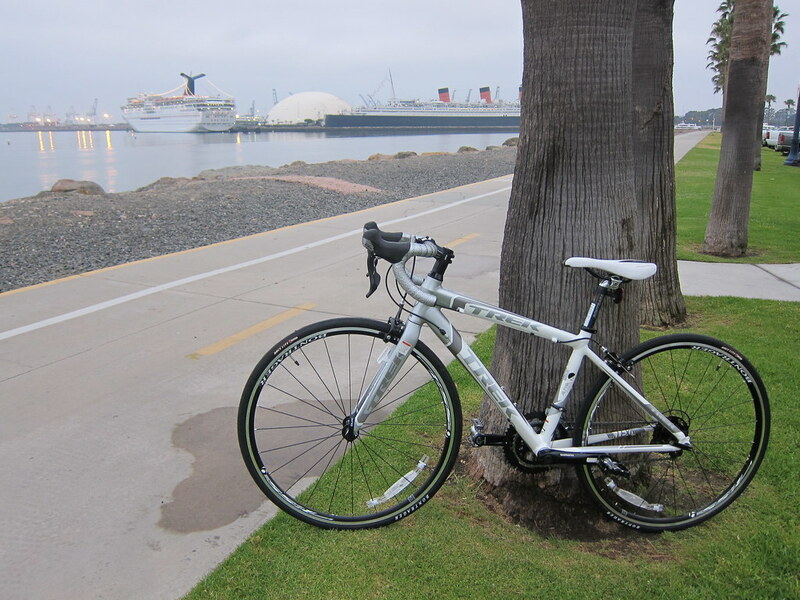 The Green Girl took Lexa out her maiden voyage on the Long Beach Shoreline Pedestrian Bikepath this morning. 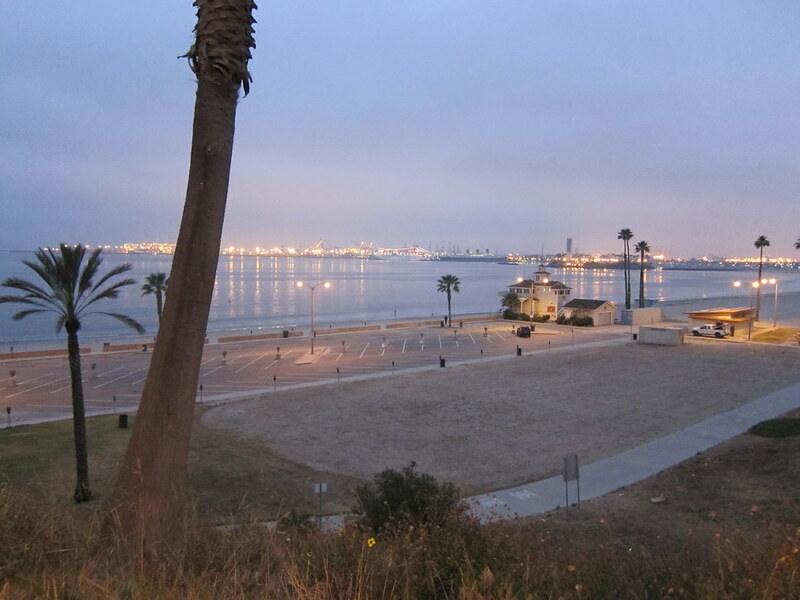 I slipped on my green Schwinn Women's Starlet Wave Helmet, pulled on my fingerless leather weight gloves, and headed out to the beach path just as the sun was starting to rise. I switched Mr. Green Garmin to Bike Sport Mode before I walked Lexa down the fairly steep incline to the beach path. I wasn't ready to make a downhill biking debut. When I reached level ground, I gingerly stepped over my bike, put my right foot on the pedal, and pushed off. I wobbled a bit but quickly found my balance. It was a beautiful morning. The water was silent and still and it reflected the city lights like a mirror. The wind blew through my hair and soothed my soul. Everything felt just right. As my legs pumped, the rest of my body relaxed. I was surprised to feel so little tension on my arms - I had expected a lot more pressure and strain on my wrists. 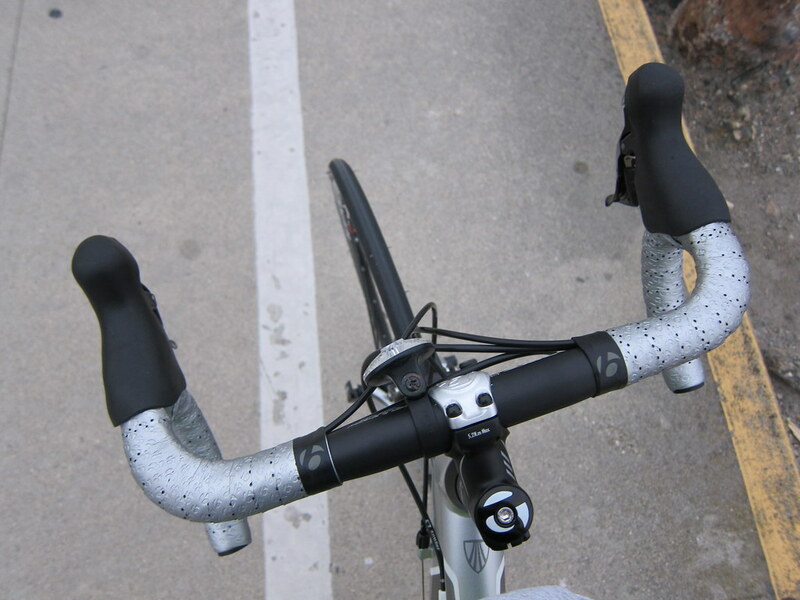 Even my biggest concern, the seat, was a non-issue - at least on this short and flat 9 mile ride. 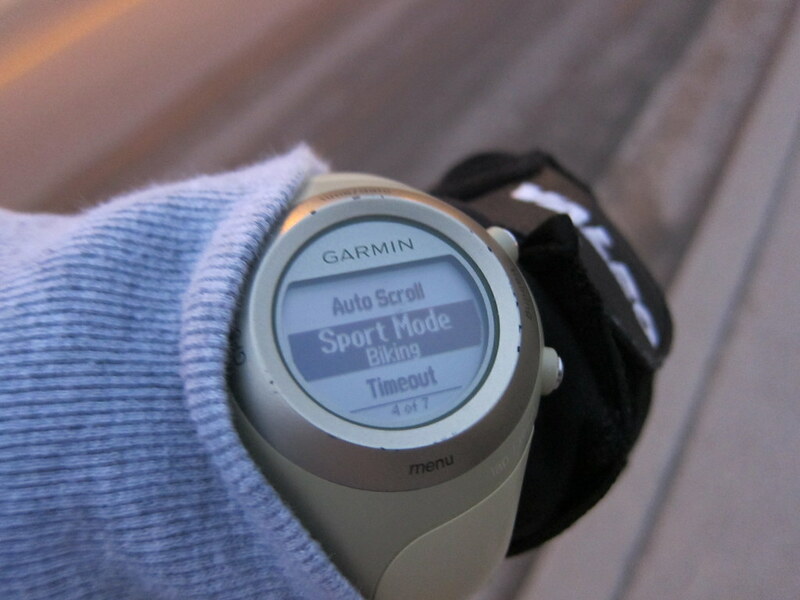 It was amusing to glance down at Mr. Green Garmin and see the miles fly by. 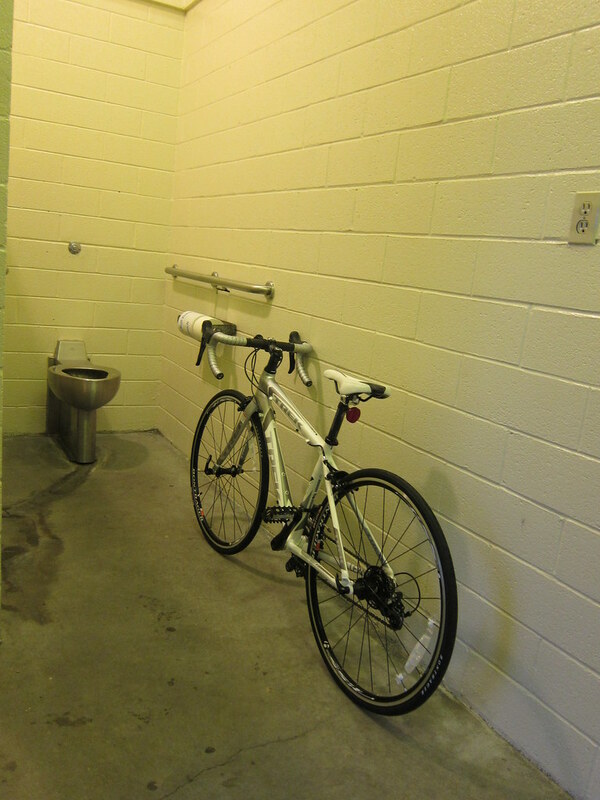 When I stopped for a bathroom break, I rolled Lexa into the stall with me. I wasn't going to risk leaving her outside unattended. 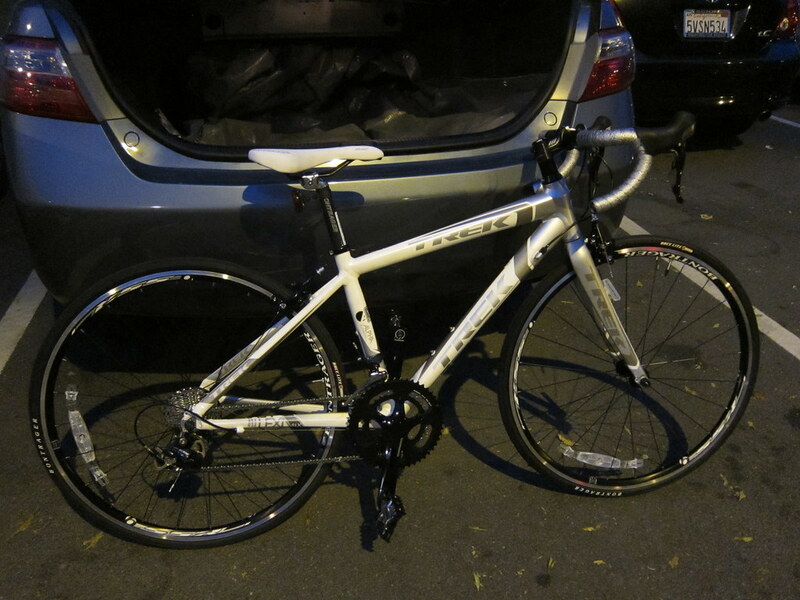 I truly enjoyed my first foray into the world of cycling and I'm looking forward to learning how to ride properly. The search for a road bike small enough for my short legs was an ordeal of epic proportions but Lexa was truly worth the wait. That's a beauty of a bike! congrats! Great job on the ride - love the way you have a name for all your gear! Lexa is pretty! Congrats on your purchase and I hope you enjoy many rides with her! Beautiful bike!! Looks like you had some fun with your new pretty toy. :) Looks like it was a great morning to go for a ride!! Very cool post. I like your relaxed, writing style...I feel peaceful reading it...like I'm enjoying the ride along side you. I've thought about getting a road bike but never took the plunge. Nice bike. Enjoy the rides. Sounds like a great new experience! I'm glad you enjoyed yourself. Love Lexa...welcome to the world of spending oodles of cash on really cool cycling gear! Good job on the ride! I have not felt like cycling in a long time, but am going out for a bike ride tomorrow. I am starting to feel the love again!